The Avanti Metal Print Rack is ideal for storing and displaying artwork, prints, posters and more in the studio or classroom, art fairs-even retail settings. Constructed of study metal, it features jailhouse grating cross supports and a padded rubber-lined platform with ridges that prevent work from sliding! 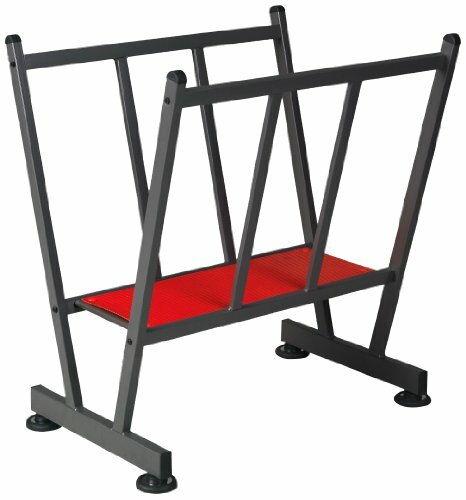 The Avanti Metal Print Rack can remain stationary with the included four (4) adjustable foot glides, or mobile when used with the four (4) multi-surface casters. Overall Size: 27.5"L x 21.5"W x 29"H; Shelf dimensions: 25"L x 8.5"W. Some assembly required.